.. this came from Saturday ‘ s NAACP so – called ” Moral March ” in North Carolina ..
.. you see , the DummyCraps do not control North Carolina anymore . Patrick McCrory is Governor of North Carolina , and is a Republican . 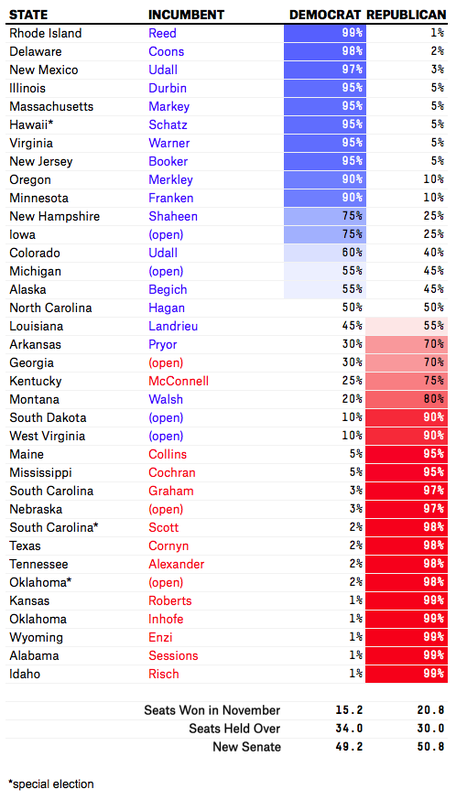 The GOP controls the NC House and NC Senate . They also control almost every other statewide office — except that of Attorney General . .. the A.G. is a DummyCrap . Given the Brawl over the Voter I.D. bill , the Governor and the State Legislature are depending on the state Attorney General to defend the bill . Given the (mis)behaviour of several state ‘ s A.G.s [California , New York , Pennsylvania] , there is question whether this guy will defend the bill ..
.. [h/t — Twitchy] ..
Leftist activists, including members of North Carolina NAACP, are in Raleigh, North Carolina, today for the so-called Moral March. Their mission? To screech about everything from abortion restrictions to fast-food wages. North Carolina blogger extraordinaire Sister Toldjah has a must-read Moral March primer on the Moral Monday movement and its hateful organizers. 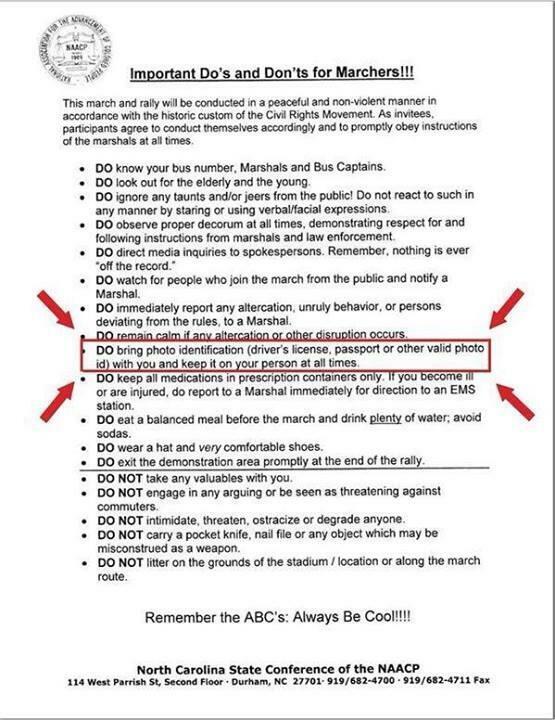 As bused-in protesters and professional agitators prepared to promote their progressive causes — including oh-so-racist voter ID requirements — the state NAACP told participants make sure to have photo ID handy “at all times.” According to the “Important Dos and Don’ts for Marchers!! !” you should bring a “driver’s license, passport or other valid photo id” to the march.